Kenda™s all new 'Bear Claw HTR'. The successor to the very popular Bear Claw K299 was designed specifically to meet the demands of the modern day ATV. 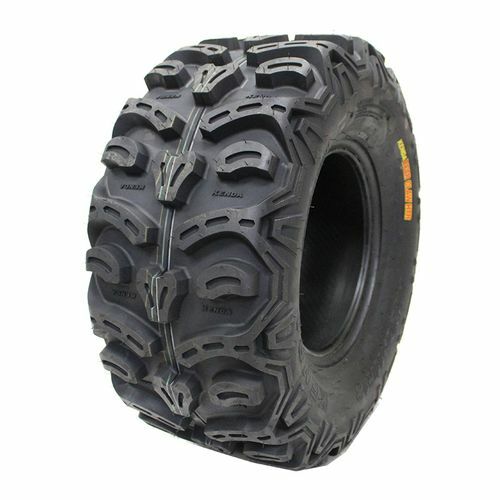 27/11--12 N/A 440 lbs 7 psi 22/32nds N/A 11" N/A 27"
Purchase includes the Kenda Bearclaw HTR tire only. The wheel rim shown in the picture is not included. Picture provided is a stock picture from the manufacturer and may or may not reflect the actual product being ordered. 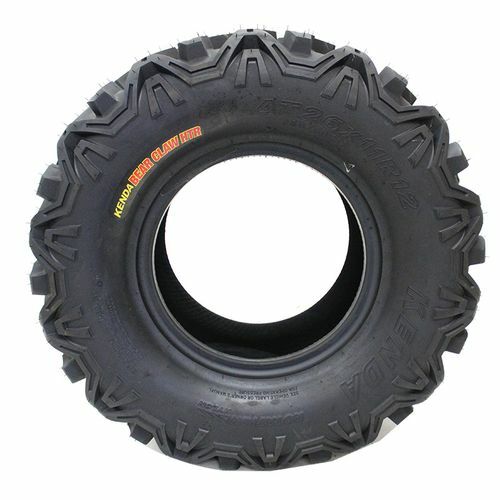 All Kenda Bearclaw HTR tires are continuously developing with manufactured improvements. With that said, Simple Tire and the manufacturers have the right to change these tire specifications at any time without notice or obligation. 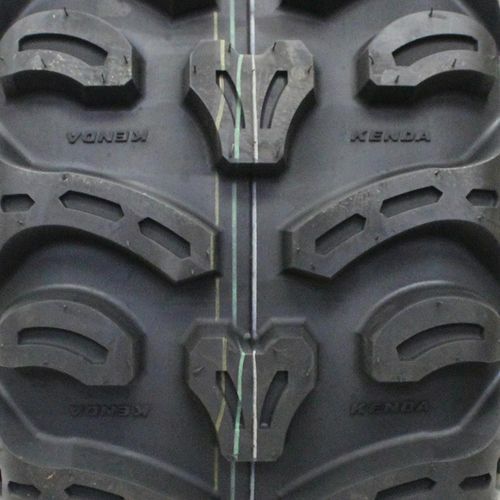 Please Note: Specifications of the Kenda Bearclaw HTR tires shown above are listed to be as accurate as possible based on the information provided to us by Kenda tires. Perfect for what we needed them for! By submitting a review, each person received a sweepstakes entry. Excellent capabilities in all conditions; specifically hill-climbing. By submitting a review, each person received a sweepstakes entry. 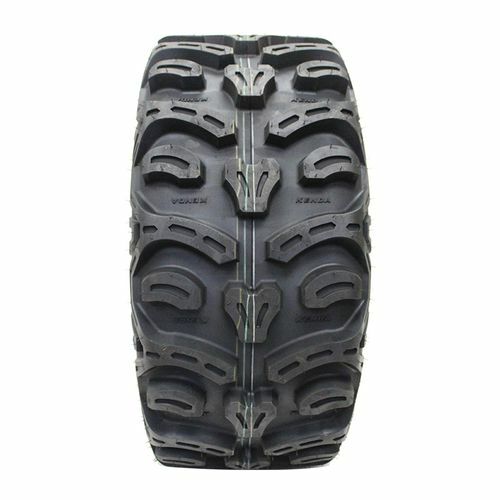 Hello i ordered a full set of kenda bearclaw HTR tires. They keep getting flats. The rear has a plug in it from the first ride around mile 34. Thought must be a fluke. Now after doing some yard work last night i came home today to find one if the front tires is now flat. I had my factory tires for 980 miles cheap 4 ply Wanda polaris factory, china tires, never had to add air once. I have less then 50 miles on these and they are just a horrible tire. At hightr speeds they wobble like they need to be balanced ? They are HEAVY, I put them on a Polaris Ace 900sp, expecting to feel a little power loss, There was however a very noticeable difference in its "GET UP AND GO". I wish I picked a diffrent tire. hope this helps.